In the mid-Eighties Bowie transferred his allegiance from David Mallet, who had directed most of his iconic videos, to Julien Temple. Temple was slightly younger, flashier, more ambitious, and Bowie enjoyed his energy, the sense of being part of a movement that would invigorate British film, a New New Wave (it didn’t quite turn out that way). Bowie and Temple would hang out at Bar Italia, indulging each other’s nostalgia—Bowie’s, for Swinging London; Temple’s, for the punk summer of 1976. Temple’s adaptation could have made much of this, viewing this condescending utopian dream of an alliance between blacks and British hipsters from the perspective of a post-Brixton London, but instead he downplayed that aspect of the novel, even as a satire. While climaxing the film with a West Side Story version of the Notting Hill race riots of 1958 (complete with a new Jerry Dammers track), Temple’s interests lay more in showing the scaffolding of Modernity Britain being assembled. Bowie, asked by Temple to do a theme song for his adaptation, offered to play a role as well, and wound up as Vendice Partners, a Satanic ad man with a wavering American accent. * Bowie’s Partners is the distillation of his time: Vespa scooters, E-type Jaguars, streamlined Italian suits (as Bowie’s biographer Christopher Sandford noted, it was “poignantly, the world of Terry Burns,” Bowie’s elder half-brother, who had killed himself in early 1985). Partners was also Bowie’s long-stewed revenge on the ad industry, in which he had dabbled as a teenager to support himself, and a winking acknowledgment that youth culture had been compromised, sold out and repackaged while it was still in the cradle. What was intended as a small-scale genre picture, a witty tribute to the dawn of the Sixties by its veterans (Ray Davies also has a minor role, singing his best song of the Eighties), instead became the center of colossal expectations. Absolute Beginners would save the ailing British film industry, it would launch a new generation of stars (Temple’s lead actress was the 17-year-old Patsy Kensit, who had recently been quoted saying “all I want is to be more famous than anything or anyone'”), it would revive the musical, it would make millions, it would be revolutionary. Naturally, the UK press hated it before primary shooting was completed. Partly intended as a critique of Thatcherism, the film’s aspirational feel, its rapidly-ballooning budget, its overinflated expectations and its flash barely masking a shoddiness, marked it instead as a pure product of its time. That said, “Motivation” is a pretty weak song, its horn-driven beat a melange of Irving Berlin’s “Heat Wave” and “The Name Game,” while Bowie’s lyric throws in Sixties references (Far From the Madding Crowd) and recently-used creaky imagery (the bloody skies of “This Is Not America” are back). The need to extend the song to fit in assorted set pieces (the dance on the giant typewriter (inspired by Ready, Willing and Able), the Great Dictator-referencing globe scene, the tap-dancing on TV, the Seven Deadly Sins count-down**) means that “Motivation” feels like it goes on forever, especially when it’s stuck in one of its nearly amelodic bridges. Still, the studio band assembled for the soundtrack are sharp (including Elvis Costello’s pianist Steve Nieve) and the song does what it needs to do—it’s a secondary color for an overly ambitious film sequence. Recorded June 1985, Abbey Road Studios, London. 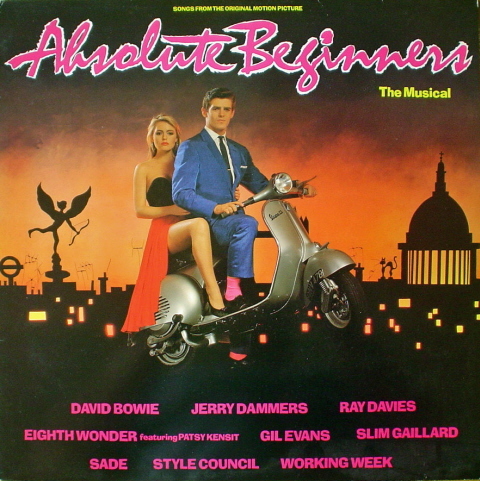 Released April 1986 on the Absolute Beginners OST (Virgin V 2386/EMI America SV 171-82). **A pedantic footnote. Bowie’s recounting of the Seven Deadly Sins mistakenly uses jealousy instead of envy, but there’s a subtle difference between the two. Top: “The Only Hell My Momma Ever Raised,” “KittyKat Theatre,” NYC, July 1985. 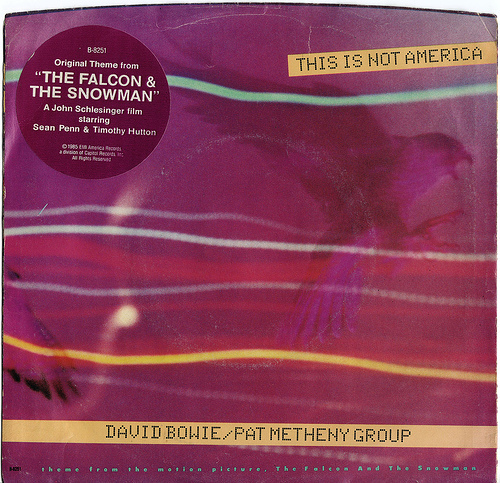 This Is Not America (Bowie and the Pat Metheny Group). Chris (This Is Not America) (Pat Metheny Group, 1985). This Is Not America (Pat Metheny Group, live, 1995). This Is Not America (Bowie, broadcast, 2000). This Is Not America (Bowie, live, 2000). American Dream (P. Diddy with Bowie, 2001). This Is Not America (Pat Metheny Group and Anna Maria Jopek, 2002). This Is Not America (Charlie Haden’s Liberation Music Orchestra, 2005). As soon as he was done with Tonight, Bowie seemed to regret having made it. He all but apologized for the record* in interviews, and he had no intention of touring to promote it. He was in a trough; he tried to haul himself out of it through soundtrack work. Bowie had only written the quarter-baked “Revolutionary Song” for Just a Gigolo and the scrapped soundtrack to Man Who Fell to Earth. Now, rather suddenly, he became a minor soundtrack regular in the mid-Eighties, writing and performing songs for four films, two of which he also acted in. A couple of these songs were some of his best material of the decade. It’s as though Bowie found a measure of inspiration in contract work. Given a plotline to work with, a lyrical cue or an incidental music requirement, he was briefly free from his inertia. The first of these songs, “This Is Not America,” recorded with the Pat Metheny Group in late 1984, was written for the John Schlesinger film The Falcon and the Snowman, about two upper-class kids from California who committed espionage in the mid-Seventies. Christopher Boyce (Timothy Hutton), a CIA contractor disgusted by his employer—the final break came when he discovered that the CIA had helped cause the downfall of Australia’s Labor Party government in 1975—began passing on secrets to the Soviets. Boyce’s go-between was his boyhood friend Andrew Daulton Lee (Sean Penn), an addict who figured treason was an efficient way to get his cocaine money. They were arrested in 1977. However, as though sent back for revisions by a producer, Boyce’s story grew ever more bizarre. 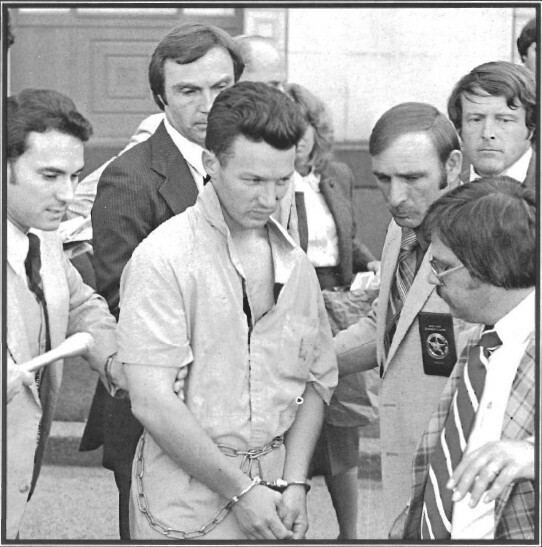 He escaped from prison in 1980, became a bank robber for a time, and intended to fly to the Soviet Union to join the Red Army until he was arrested again in 1981 (both he and Lee have since been paroled). Falcon was a somber anomaly at the height of the Reagan years, when many films were refighting Vietnam (spoiler: this time, We Win), fervidly imagining Soviet or terrorist invasions of the heartland, or equating the Grenada invasion with Korea and Vietnam. Akin to the weary spymastering of John LeCarre’s Smiley novels, Falcon is a pair of jaded innocents bungling things abroad, two pawns given a few spaces of movement on the board before being swept off. Hutton’s Boyce is an idealist as well as something of a pompous fool; Penn’s Lee is a wretched user whose comeuppance at the hand of the Mexican police is awful and tragic. John Schlesinger had helped invent Swinging Britain with Billy Liar and Darling and packed it off with Sunday Bloody Sunday. His subsequent work in the US coarsened him, with the gritty promise of Midnight Cowboy devolving into the exploitative dreck of Marathon Man in less than a decade. Falcon, Schlesinger’s last major film, seems like his last thoughts on the Sixties, the bombast and heroics of the decade reduced to the doings of two sad dupes, consumed and deluded by ideology or addiction, used and discarded by all sides. It offers no sense of liberation: the hero of the film is a traitor; his actions, while driven by moral outrage, damage no one in power, just other pawns. How Bowie and Pat Metheny came to work together on Falcon‘s soundtrack is a bit of a mystery. None of the Bowie biographies offer anything on it, as most dismiss “This Is Not America” in a sentence, if not ignoring it entirely. I assume the collaboration was likely EMI’s doing, the label figuring Bowie could add pop appeal to an otherwise ambient/jazz fusion soundtrack that wasn’t going to rival Beverly Hills Cop‘s in terms of sales. Perhaps working with a jazz quartet intrigued Bowie, who hadn’t tried his hand at jazz since “Good Morning Girl.” That said, “This Is Not America” isn’t jazz at all—there are no improvisations; Metheny plays rhythm guitar for the entire track, never soloing even in the long outro. The piece is a closed circuit: it’s built primarily on a repeating four-chord sequence (originally Gm-Dm/F-Ebmaj7-Dm/F, or I-IV-VImaj7-IV) with a constant rhythmic pulse courtesy of Metheny’s drummer Paul Wertico. Synthesizer motifs appear throughout: a rise-and-fall fanfare, a somber French horn-sounding counter-melody that begins in the second verse. Metheny said at the time that he intended the track to be mainstream: “It was the first time the group really committed itself to doing a real pop record,” he told Billboard. Metheny and his keyboardist Lyle Mays had written a piece called “Chris” for the Falcon soundtrack, a tone poem for Hutton’s character. This served as the basic track for which Bowie wrote a lyric,** set to the perspective of the disillusioned Boyce. Bowie’s lyric has its faults: the apparent need to include the film title at some point leads to the leaden doom-laden lines about the falcon spiraling and the snowman melting, while the homophone rhymes of “piece” and “peace,” and, more thuddingly, the near-homophone “America” and “a miracle” (done already by Culture Club) are a bit creaky. Still his vocal is one of his finest of the era: the way Bowie quietly twists and reshapes his phrasing of “America” in its various repeats; the descending phrases to match lyrical depictions of decay (blossoms failing to bloom, falcons tumbling); his fine, eerie singing on the bridge—the octave leap on “was a TIME,” the run of high Gs and As on “blew so pure.” (There’s a touch of Donald Fagen on “faintest idea“). Bowie deftly handles the jarring key change after the first bridge (to G-sharp minor), a move that puts an edge into the song but also seems like the composers forcing the drama a bit. The problem is that once the key change happens, the song doesn’t go anywhere new, settling into a repeat of the first verse and the entire bridge, plus a minute’s worth of outro. When he performed it live years later, Bowie wisely moved the change to the song’s climax. The hook—the repeated refrain “this is not America”—is all the drama the song needed, as Bowie begins by softly reinforcing the declarations of his backing singers and eventually makes “this is not America” a mournful, wounding statement in its closing repetitions. There’s a world, an empty generation, within the words, their open accusation. Packaged in a quiet, near-Muzak setting, “This Is Not America” briefly hung in the air in the mid-Eighties, a hummable curse for an unsubtle time, offering no solutions, only one concrete statement: that we live in a fiction. Released in conjunction with Falcon in January 1985, “This Is Not America” proved a minor hit for Bowie, having the greatest popularity in Western Europe (the Dutch and Germans especially loved it). Forgotten soon afterward, “America” was revived in 2000 for a Bowie BBC appearance. With the song removed from the synthetic precision of Metheny’s arrangement and Bob Clearmountain’s mix, it took on a bit of color, with Bowie playing up the song’s dramatics. With the election of George W. Bush, the song’s title was irresistible, and it was soon used for blunt ends: P. Diddy, shaken out of his torpor to record a pissed-off rap, “American Dream,” for the film Training Day, sampled “This Is Not America,” with Bowie providing new vocals. The best of the latter-day covers was Charlie Haden’s, who in 2005 made “This Is Not America” a romp, a joyous collaboration that seems set out to disprove the song’s title: Haden’s version is America on one of its better, chaotic days. Recorded ca. November 1984, Montreux, Switzerland (the backing track was likely cut in London, in September ’84). Released January 1985 as EMI America 190 (#14 UK, #32 US, #1 in Holland) and also on The Falcon and the Snowman OST (EMI America SV 17150). * After Tonight, Hugh Padgham went to London to record Phil Collins’ No Jacket Required. What’s striking about NJR (which I just listened to for the first time in probably 25 years) is how much it’s a successful revision of Tonight: it has a similar sound, similar vocal treatments, rhythm guitar work that seems like Carlos Alomar outtakes, similar horn arrangements (the “Phoenix Horns” here, rather than the Borneos), Arif Martin string arrangements. 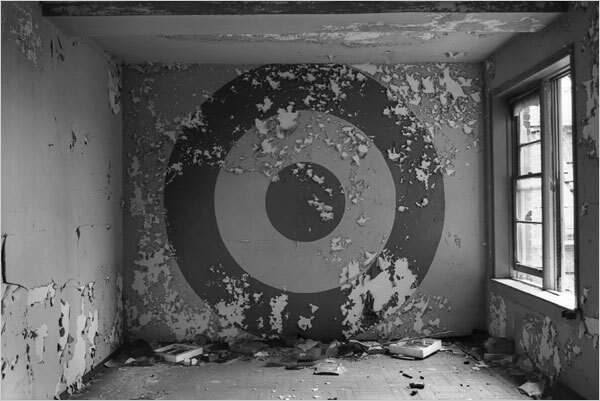 But NJR works far better, as it has an internal consistency—its uptempo irritating singles are embedded within a wider set of gloomy pieces, making the former seem like manic flights in a depressive’s journal. ** It was still novel for Bowie to write a lyric for another’s music: he had hardly done so in his life (see “Pancho”, “Even a Fool Learns to Love” and “Music Is Lethal”/”Hey Ma, Get Papa”). Top: Ray Mortenson, “Untitled,” South Bronx, NYC, 1983; Christopher Boyce’s second arrest, 1981. The Snowman (David Bowie introduction, 1982). Peace On Earth/Little Drummer Boy (David Bowie and Bing Crosby, 1977). Merry Christmas! Here’s a grab-bag of vintage Eighties Bowie holiday cheer, including his brief but dramatic appearance on “Feed the World,” the B-side of “Do They Know It’s Christmas” and his introduction to The Snowman, a sweet, sad winter cartoon from ’82. And I’ve included the Bowie/Bing clip because I am required to by law (the track was already covered here). That’s all for 2011. Thanks to everyone for reading. Thanks especially: Owen Hatherley, Agata Pyzik, Tariq Goddard, Jack Womack, Bowietweet, Ian McDuffie, Amy Granzin, Stephen Ryan. Thanks: Harry McCracken and Ryan Gilbey for the kind words. Thanks to all the regulars in the comment section, who have the rare traits (on the Internet) of disagreeing politely, being funny and being generally top-class. Thanks, as always, to David Bowie himself. This is getting soppy. Enough: go drink. Back next year, with DB’s adventures in the movies (yes, this includes Labyrinth), the slight return of Iggy Pop and the reign of the Glass Spider. We’ve got another year-and-a-half left to run, most likely, so I hope you stick around. I am far too modest to nominate any of my own stuff, and I have little objective sense of what pieces are better than others (well, I know what the real stinkers are), but if you feel like it, please feel free to offer nominations for the Best Music Writing 2012 here. This would be for anything that ran in 2011, so from “Sister Midnight” to, sadly, “God Only Knows,” and includes entries on all of the Berlin records, Scary Monsters, Let’s Dance and Baal. 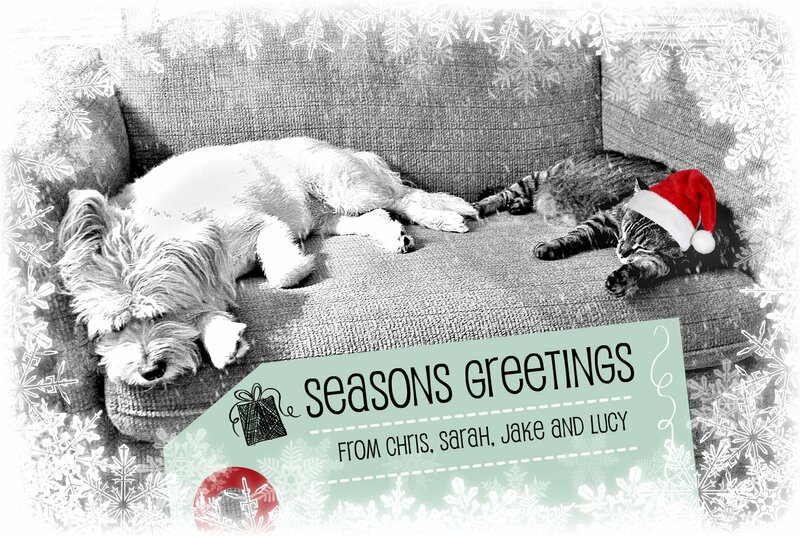 Top: Lucy and Jake wish you happy holidays. Not too long ago, Lucy and Jake couldn’t be in the same room together without freaking out, but now look at the beasts. Take hope. Happy Xmas. Photo: the talented SEP. Imagine (live, 8 December 1983). A few days after John Lennon was murdered, the battle for his afterlife began. Charles M. Young, Rolling Stone‘s ambassador to the punk scene, walked into the RS office complaining about the tribute vigils in Central Park. The songs that everyone kept singing—“Imagine,” “All You Need Is Love,” “Give Peace a Chance”—were Lennon at his most maudlin and sappy, Young said. (Lester Bangs made the same point around the same time.) The real Lennon, the scabrous rocker, the cutting observer of human folly, was nowhere to be found in his own tributes. That “wouldn’t have been appropriate,” his boss Jann Wenner allegedly replied. (From Robert Draper’s Rolling Stone: the Uncensored History). “Inappropriate” Lennon, unsurprisingly, soon packed off. In his place was a myth-gone-man, John Lennon as the greatest (and last) of the Sixties martyrs. Sure, every five years or so, some new book or film appears to show Lennon as he could be: pissy, ridiculous, righteous, delusive, outrageous and self-deflating. And those discordant notes fade soon enough, while remaining, unblemished, is the peace-sign flashing Lennon of dorm room posters and T-shirts, the glasses-and-hair caricature on coffee mugs. On the third anniversary of Lennon’s murder, at the end of the last show of his triumphant world tour, Bowie sang “Imagine” to a Hong Kong audience. It was an apt tribute, as “Imagine” was becoming myth-Lennon’s greatest hit, another way that the Sixties were being reduced to a collectible set of soundbites and slogans. Lennon’s killing had horrified Bowie, and Bowie’s presence in the Eighties—the sense of immaculate distance, his cultivating of a bland commercial sound, his apparent determination to mean less to people, to defang his cult—seems in part a reaction to that December night. Lennon had been vulnerable, walking the streets without bodyguards, his home address common knowledge to fans. He had spent the latter half of the Seventies quietly humanizing himself, living in exile in plain sight, surfacing in 1980 to promote his and Yoko’s new record by reminding his fans that the memory cheats, that the past is dead. We were the hip ones of the Sixties, he said in one of his last interviews. But the world is not like the Sixties. The whole world has changed…Produce your own dream. It’s quite possible to do anything…the unknown is what it is. And to be frightened of it is what sends everybody scurrying around chasing dreams, illusions.” The cruelest legacy of his murder was that Lennon’s open commitment to the future was overshadowed as he became a mythic trademark of the lost, glorious past. And considering the vicious rocker Lennon to be the “true” Lennon was just another type of myth, conveniently ignoring Lennon’s sappy side (he wrote “Good Night,” remember). Lennon was a sentimentalist as much as he was an iconoclast, filling his last records with odes to his wife and son. He had intended “Imagine” to be schlocky, calling the song his sugar-coated bit of poison, a little nihilist-utopian message fit for Andy Williams or Robert Goulet to sing; it would have delighted him that the artless naif David Archuleta sang “Imagine” on “American Idol” a few years ago (even with the atheist lyrics carefully omitted). So Bowie’s version of “Imagine,” which comes close to Vegas schmaltz—the saxophone fanfare, the Simms brothers emoting, Bowie doing such an uncanny Lennon imitation that it sounds like he’s auditioning for “Beatlemania”—is true enough to Lennon’s intentions. In its broad, tasteless way, it’s as fitting an elegy as Lennon ever received. Recorded 8 December 1983 at the Hong Kong Colosseum. Though “Imagine” appears to have been recorded professionally (Bowie was considering releasing a live album of the tour, and “Imagine” could have been a sales hook), it’s still only found on bootlegs. That’s all until after Thanksgiving. Have a great holiday: for those who don’t celebrate it, have a great Thursday. 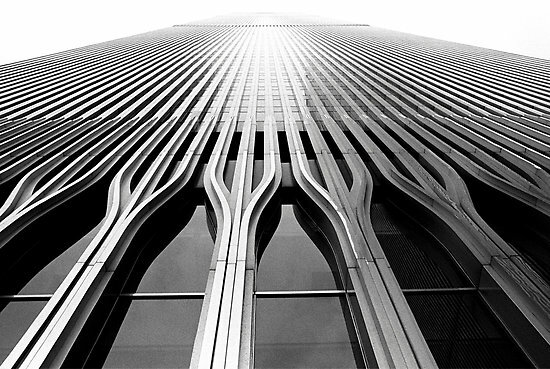 Top: The World Trade Center, NYC, 1983. “The towers didn’t seem permanent. They remained concepts, no less transient for all their bulk than some routine distortion of light,” Don DeLillo, Players, 1977. You are currently browsing the archives for the EMI Years: 1983-1990 category.